Dr. Smith is a board-certified Ophthalmologist and a member of the American Academy of Ophthalmology. Dr. Smith specializes in custom no-stitch Cataract surgery and was one of the first physicians in the country to use this new lens technology. He completed his undergraduate education at Auburn University and received his Medical Degree at the University of Alabama School of Medicine. He completed his Ophthalmology Surgical training at the largest medical center in the world, The Texas Medical Center in Houston, where he had the opportunity to work under some of the world's most talented ophthalmic surgeons. 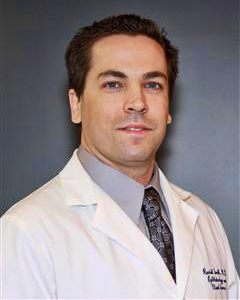 Dr. Smith recently moved back to his hometown of Birmingham, Alabama after being in private practice in Houston, Texas. Dr. Smith specializes in cataract and LASIK surgery but also treats all types of medical eye problems. Dr. Smith is currently accepting new patients with minimum wait time for appointments.